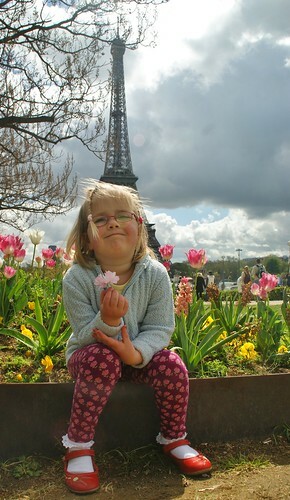 It's so pretty here with all the pink flowers and trees and Mummy took me and the guys up the Eiffel Tower too - it was really high! When I was at the very top I needed the toilet so I went to the toilet there. I wonder where my poo went?